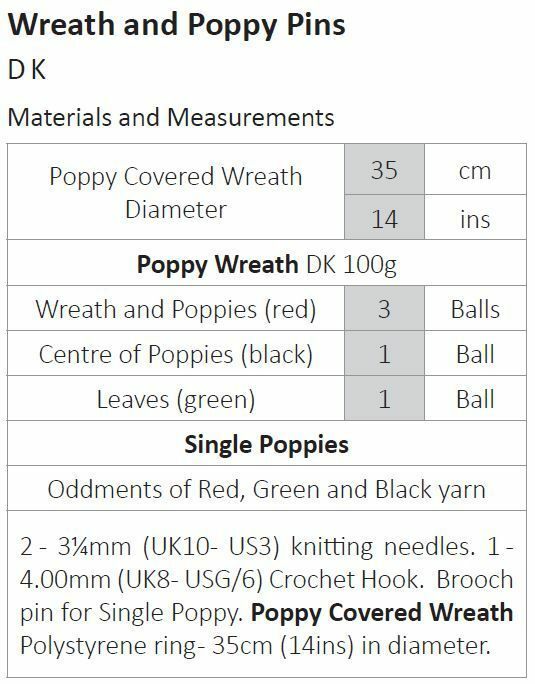 This one pattern contains instructions for both a single knit and crochet poppy, as well as how to make a poppy wreath ready for Remembrance Sunday. Please check the measurements and details to find out what extra accessories may be required. Find your Red and Black in our Double Knit range for only £1 per ball. Hooks required Two 3¼mm (UK10- US3) knitting needles. One 4.00mm (UK8 - USG/6) Crochet Hook. Brooch pin for Single Poppy. 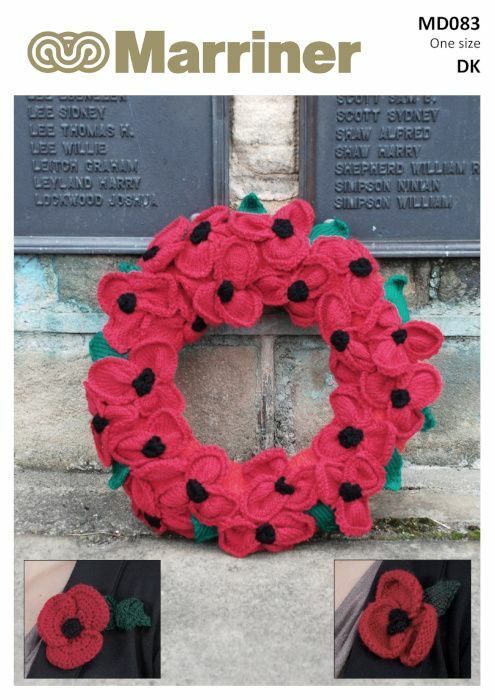 Polystyrene ring - 35cm (14ins) in diameter for Poppy Covered Wreath.